LAN Associates was recognized for their outstanding efforts in the community service industry as they received the Commerce and Industry Association of New Jersey’s (CIANJ) “Champions of Good Works” award for the firm’s year-round commitment to giving back.LAN has remained committed to making a positive impact by partnering with multiple organizations that touch a variety of communities across the Tri-state area. As a full-service architecture and engineering firm, the LAN team utilizes their design expertise to volunteer with Habitat for Humanity to build residence homes for families in need. In partnership with The Sussex County Chamber of Commerce, LAN sends volunteer teams to trail clean-up days to revitalize parks throughout Sussex County. LAN continues its community efforts in their offices by celebrating Giving Tuesday by partnering with Lighthouse Pregnancy Resource Center to conduct a diaper drive that supports families in need. The firm also participates with the Red Cross “Holiday for Heroes” program where employees send hand-written cards to wish military members holiday cheer. While these projects serve different purposes, LAN’s passion for community remains the same and inspires the company to continue serving in a greater way. CIANJ is a statewide business advocacy organization, representing more than 900 corporate members from every industry sector. The organization asked the business community to share stories of its philanthropy. Their stories became a special section of the March issue of COMMERCE Magazine that was distributed at the reception, which was held at the elegant Nanina’s In the Park in Belleville. 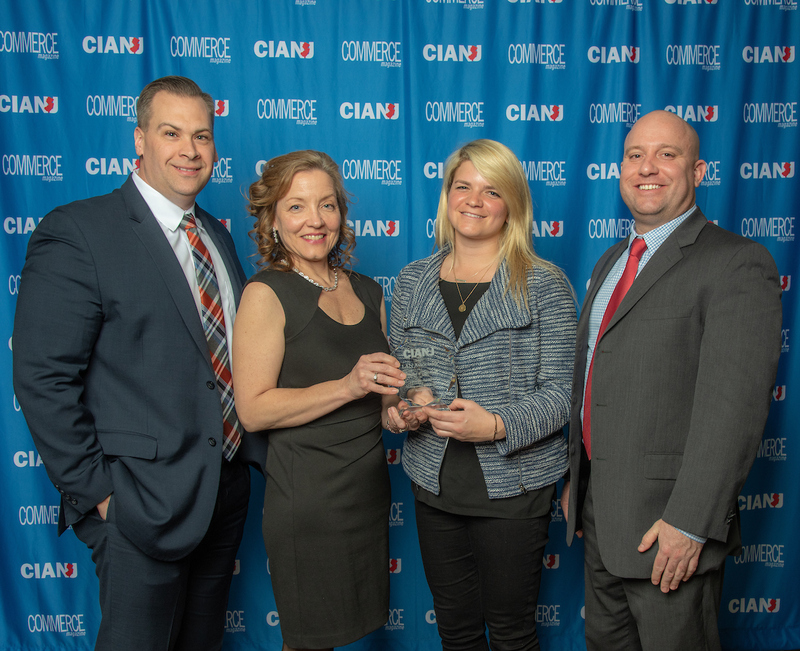 “These caring companies embody the Commerce and Industry Association of New Jersey’s mission to make the Garden State a better place to live, work and raise a family,” said Anthony Russo, President of CIANJ.